Provide a direct link to your region. 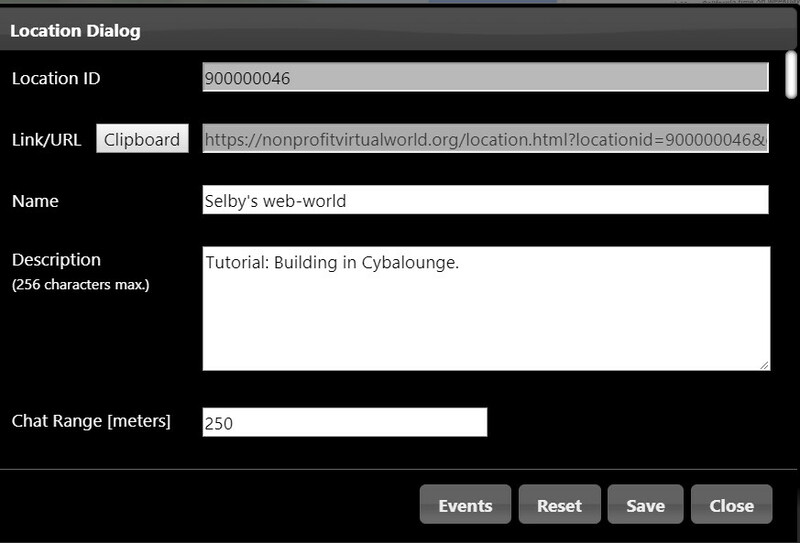 Instructions for giving people a direct web link to your place in Cybalounge-- a web link you can put in social media, websites, or blogs. Suppose you have a place in Cybalounge and you want to bring people there. You want an easy way to get them directly to your place. You don't want to make them go though the main Cybalounge login page. On the web, what you want is a clickable link. You put it in social media, websites, or blogs. Go to your place. Click the house graphic (bottom line). In the dialog box, click the clipboard button to copy your url to the clipboard. What do you do with it? After the break. Try it. You will see the guest entry dialog. 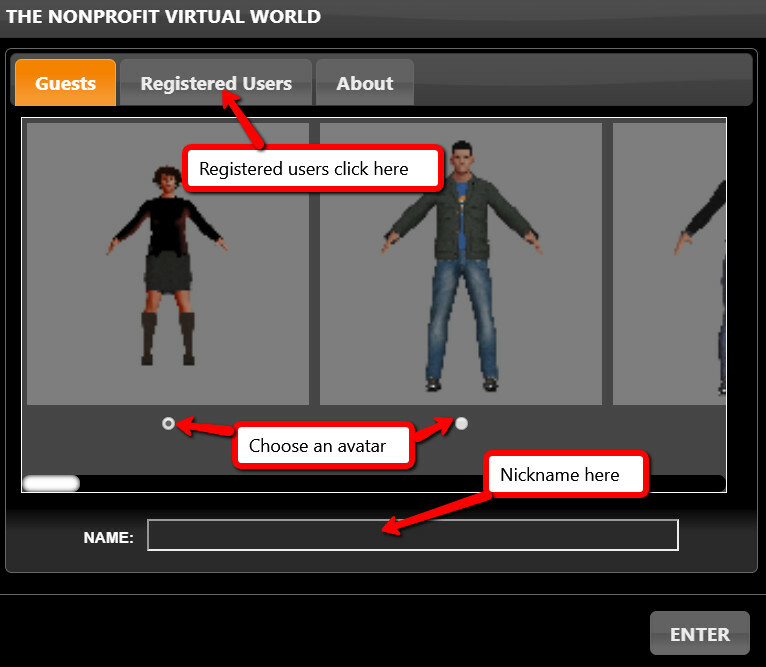 To enter as a guest, click one of the white circles to choose an avatar. If you are a registered user you can that button to enter with that ID. But you can still enter as a guest if you don't need the ID.